… it was the year 466/467H. The era of the 18th Imam Mustansir Billah AS. A dark shadow was cast upon the Fatimi dynasty. It was under the constant threat of corrupted viziers misusing their powers for their own political gain. Unable to fulfill their insatiable appetites, food stocks depleted and people suffered. Cairo was on the brink of a civil war. A man named Baladkawsh (a Turkish warlord) took siege of the city. No one was allowed to enter or leave Cairo. In this critical time, Imam Mustansir AS called out to his most trusted Ameer al Juyush (leader of the armies), Syedna Badr al Jamali RA, and summoned him to Cairo at once. On receiving this news, Syedna Badr al Jamali gathered his armies, horses, weapons, and warships and set out from Armenia (Rūm) to Cairo. The seas were rough and treacherous. No man besides himself would dare to sail upon them, but he was driven by his khaalis niyyat and seeking the ta‘at of the Imam, in the name of Dawat. He reached Cairo and took control of the city within one night and power was restored. He reached the hazrat of the Imam and was blessed with his deedar, and was given the title of “Saif al Islam” (the sword of Islam). 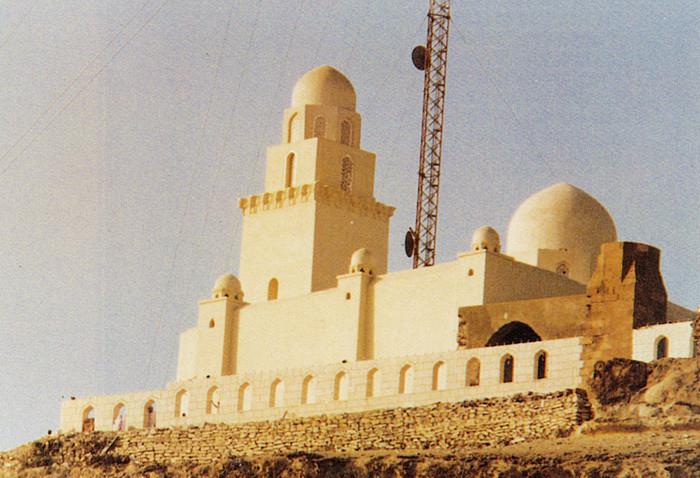 Al Jame’ al Juyushi, Cairo; built by Syedna Badr al Jamali. Later restored by Syedna Mohammed Burhanuddin RA. The anecdotal reference above can be understood again in the year 1432 H. This is the year when Khuzaima and his website allege that the Dawat and the office of Syedna Mohammed Burhanuddin RA was ‘under siege’ by his Shehzadas, whom were taking advantage of Syedna Burhanuddin’s ill health to manipulate the office of their father, the Dai, for their own political gain. They claim that Syedna was being put to traumatic experiences, was forced to do things and attend functions against his own will. Let us reflect back to history of the Fatemi dynasty mentioned above since it seems that a direct comparison can be made. When Moulana Badrul Jamali saw that Haqq na Sahib appeared to need madad, he rose to the occasion and provided him with his full capacity. He travelled from across the medieval Muslim world with his fleets and armies to aid Imam Mustansir SA. If Khuzaima was indeed the Mansoos of Syedna Mohammed Burhanuddin RA and his ‘most beloved;’ if he was his alleged “second in command;”then why didn’t he rush to the to the aid of Dawat and the Dai at such a crucial moment? Self-determination, selflessness, and bravery are all attributes of true madad. It is obligatory on every Mumin in mithaq, “tame Imam ane Imam na Dai ne yaari deso. Tame Imam ane Imam na Dai ne tark yaari to nehi karo.” If Khuzaima indeed saw that Aqa Moula Syedna Mohammed Burhanuddin RA was in peril and being harmed by his children for three years, wasn’t it incumbent on him to come to his Moula’s RA aid and yaari. Why such tark yaari on his part? Why scheme in the background? Why didn’t he ‘sail the treacherous seas’ just as Syedna Badr al Jamali did for the protection of Dawat and the Dai? Why wasn’t he there for Moula in his time of need in this so-called ‘critical time’? Why didn’t he exercise his political clout and use the media (which he is trying to do at the moment) for the Dawat and his Moula? The answer is unfortunately obvious. Similarly, why did he run-away from Raudat Tahera before Syedna Mohammed Burhanuddin RA arrived, when he knew that Syedna had suffered a stroke and was weak? Why did he spend most of the last three years away from Moula RA? It is evident to us that Khuzaima was never there, and never really cared for Syedna Mohammed Burhanuddin RA during his lifetime, especially during his final years when a true successor would have done everything in his power to do so. If he truly cared for Syedna al-Hayy al Muqaddas in the ways he mentioned, he would have fought to protect the Dawat from the ‘siege’ and sacrificed his life for his Dai. It is obvious that Khuzaima Qutbuddin was too busy planning his fitnat. Again we must also re-emphasize here how he didn’t participate in the janaza, again contrary to the seerat of Ameerul Mumineen. In conclusion, it is obvious that Khuzaimas claims about Moula RA are false and the Dawat was not under any such seige. Moula RA was being surrounded by his true Mansoos and those who loved and cared for him the most. Syedna Mufaddal Saifuddin TUS is the true “Badr al Jamali”. HE is the “Saif al Islam”.